Pakistan has gone back on almost all agreements reached at the meeting between the premieres of the two countries in Russia on 10 July. 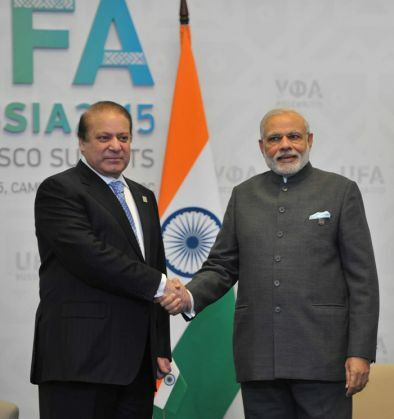 Here's a series of u-turns made by Pakistan since Narendra Modi and Nawaz Sharif met in Ufa. Pakistan Prime Minister's Advisor on National Security and Foreign Affairs Sartaj Aziz on 13 July, made it clear that no dialogue will take place with India unless Kashmir is included in the agenda. Also Pakistan continued to ask for more evidence for the trial of 26/11 Mumbai attack. Pakistan has also refused to share voice samples of 26/11 attack and LeT commander Zaki-ur-Rehman Lakhvi. However, these statements are in complete contravention of the joint statement made by the Foreign Secretaries of India and Pakistan, S Jaishankar and Aizaz Ahmad Chaudhry after the Modi-Sharif meeting. One of the major highlights was commitment to countering terrorism. Here are the relevant points on which both countries had agreed. A meeting in New Delhi between the two NSAs to discuss all issues connected to terrorism. Both sides agreed to discuss ways and means to expedite the Mumbai case trial, including additional information like providing voice samples. Here's a series of tweets from the official Twitter handle of Pakistani High Commissioner in India. How has the Indian government reacted to the slew of U-turns? After the talks, the Modi government claimed that the meeting between Pakistani Prime Minister Nawaz Sharif was a major success. While the feedback from the Pakistani has side has been completely opposite, the Indian government hasn't reacted to the comments. A CNN IBN report says, India has dismissed the statements as it holds the joint statement to be the core of the bilateral ties between the two countries.